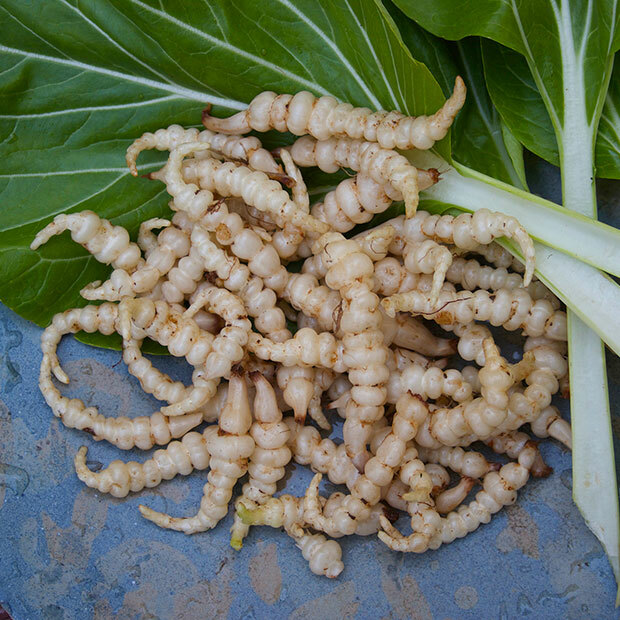 Chinese Artichoke or Stachys Affinis is an easy to grow hardy edible perennial that produces a prolific amount of crunchy tubers over the winter months. The tubers are ideal in winter salads, can be used for pickling and are fantastic and delicious in stir fries as they absorb flavours. This pack of 20 tubers will give you an excellent crop and you can save your own tubers for re-planting once established. Grown using organic methods. Tubers are lifted and packed upon order. Chinese Artichokes are also known as Crosne. They are prolific producers of delicious knobbly crunchy tubers and have a bushy top growth that reaches 50-60 cm tall. 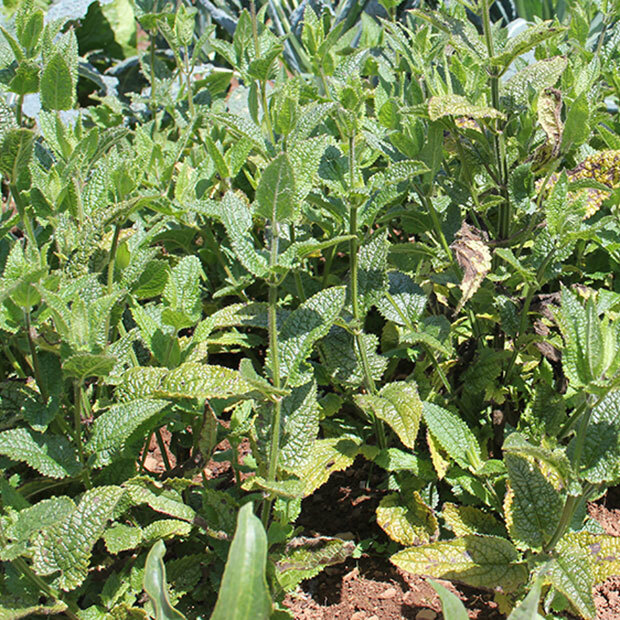 They are related to the mint family and are very hardy. Being hardy things, your tubers can be planted out directly between October and April. Alternatively you can also keep your tubers in trays or pots of slightly damp compost and leave them to sprout. You will see leaves appearing and when the plants are about 3 or 4 inches tall you can plant them out. Slugs do like the plants when small, so getting them going in pots first ensures that they can survive pests until they have got established. Plant about 25cm apart and a 7.5cm deep in rows of 45cm in a sunny position, well drained soil. In the Autumn the top growth dies back and you can start harvesting from around October and over the winter months. Lift tubers to eat as and when you need them as they store very well in the ground. 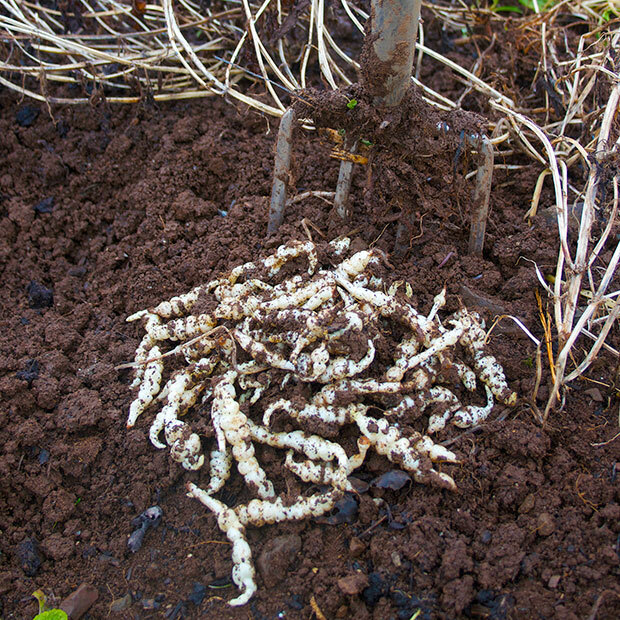 Leave a few tubers in the ground to re-sprout and naturally spread in the spring. You can also lift tubers in January and store them until the spring to re-plant in a new area. We have found that you get bigger tubers if you rotate them around, but you will still get a decent crop if you leave some in your original site as long as they are not too overcrowded. The flavor of the tubers is delicate and delicious. In Japan, the Chinese artichoke is used primarily for pickling. Its tuber is a part of Osechi cooked for celebrating Japanese New Year. Dyed red by leaves of red shiso after being pickled, it is called Chorogi. In French cuisine, its cooked tuber is often served alongside Japanese style dishes. Crunchy and nutty in taste they can be used as a replacement for water chestnuts or blanched and then sauteed in herbs and butter. Lightly steam, then add to a stir fry is also delicious. We have put some in our home made Korean Kimchi this year too.